I have always been a little scared of trying to use fondant, it seemed way too difficult, and so I have stuck to buttercream icing for the whole TWO kids birthday cakes I have ever made. 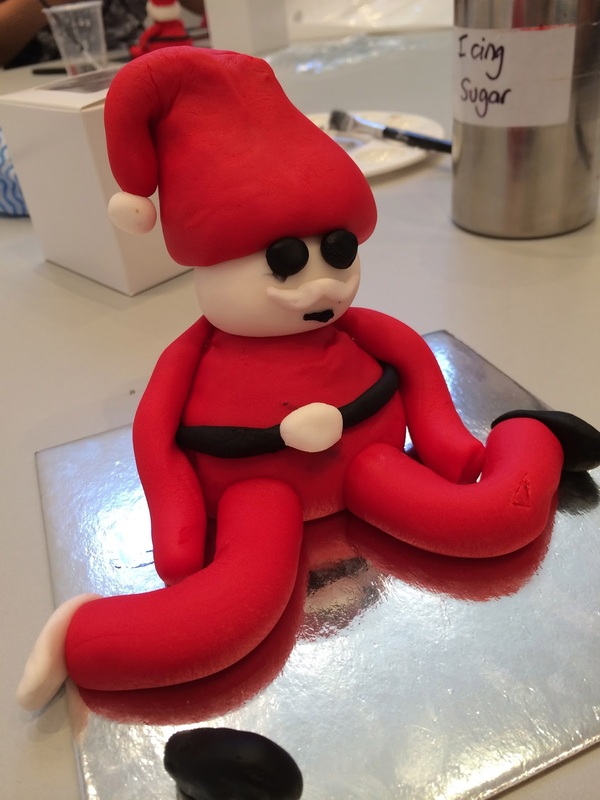 But, what I discovered last week is that fondant is actually remarkably similar to Play-Doh, which I have become very familiar with of late, although it dries out a whole lot quicker! - When you roll it out don't press too hard or it will stick to the table, do a couple of rolls and then turn it 90 degrees and continue like that. - You can make a little edible glue out of xanthan gum and water to stick it all together, but don't put too much on because that will be a disaster. Then, to top off my care free, kid free morning, they gave me an awesome Breville Juicer!! What... well Merry Christmas me!! Yay, now I have no excuse not to get on the green juicing bandwagon! But, I probably will find one, an excuse that is! 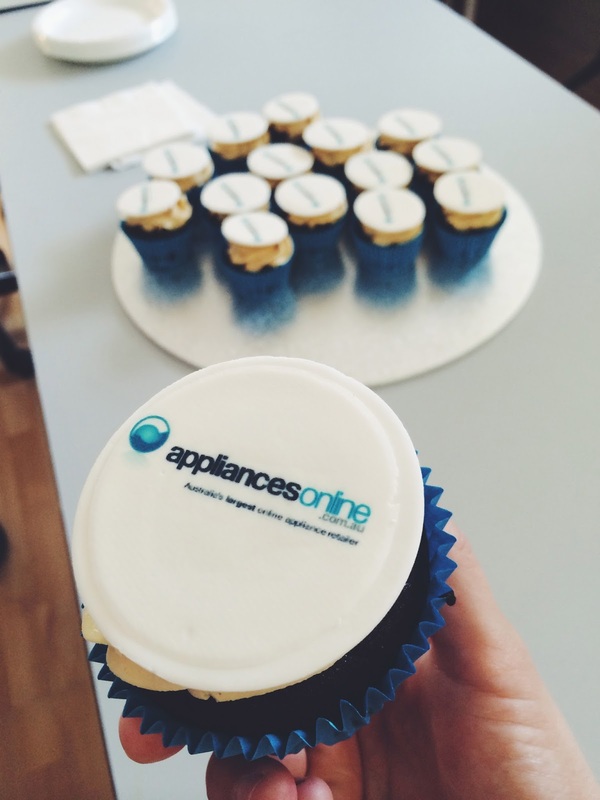 I've been perusing through the appliances online website a lot lately, as a self-professed online shopper and brick and mortar store avoider, Appliances Online is my go-to website for all things appliance related! There are a couple of things like a Dishwasher and new Washing Machine that I have been eyeing off for our new house, and I know that they always seem to have the best prices, and free delivery all the way to Margaret River as well, so even us Mandurah folk don't miss out like usual! Annaleis learning from the pro, Julia how to get that fondant right! 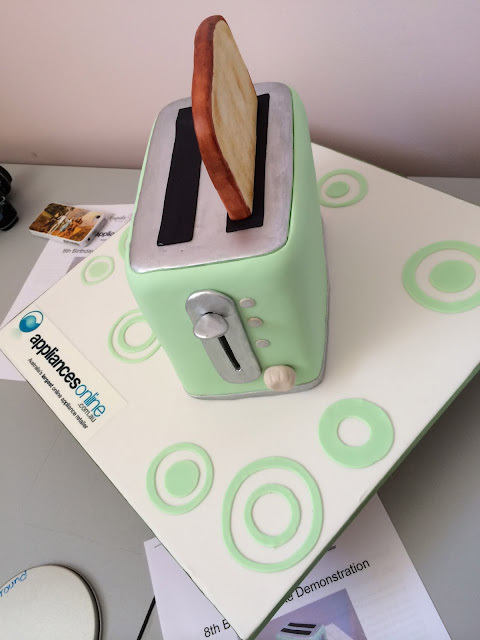 As a part of their 8th Birthday Celebrations Appliances Online are also giving away 8 Sunbeam Food processors RRP $399, and all you have to do is bake an appliance themed cake and take some pictures! So, even if you don't win, you still win, because you have CAKE!! I Love The CAKE! Find out all the details on their WEBSITE but HURRY because it finishes on the 8th of December! My Santa fell off the roof, one too many glasses of milk I think! Also a cake, and such a sweet looking toaster! 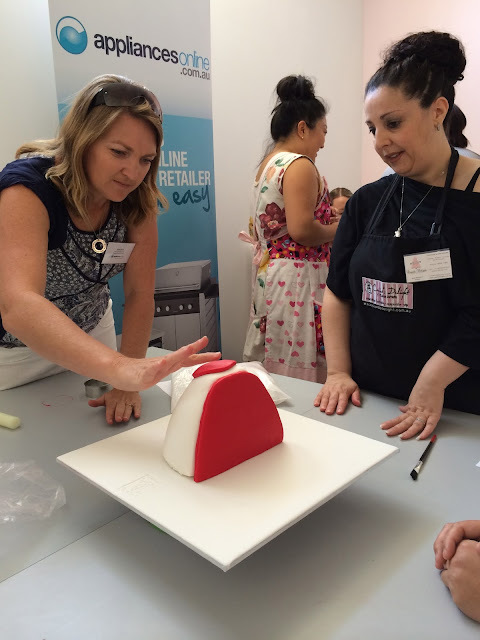 21 comments on "What I learnt about Fondant with Appliances Online"
It's soooo good!!! I'm not sure why I was so scared of it before. I'm a lite bit excited about trying to make a birthday cake next year with it!! Glad you had a nice morning. I did look very serious. Was truly afraid my crappy red circle would spoil the whole cake. We did a great job. ugh - first time without babies in 5 months...! that isn't making want a bub anytime soon.. although the baby at the event did make me clucky! Oh man, the amount of nights I have been staying up past 1am (like tonight!) to get stuff done on the blog lately is ridiculous. But it's the best time of day for me as there are no interruptions whatsoever, as generally once the girls are asleep they are asleep till at least 6am. 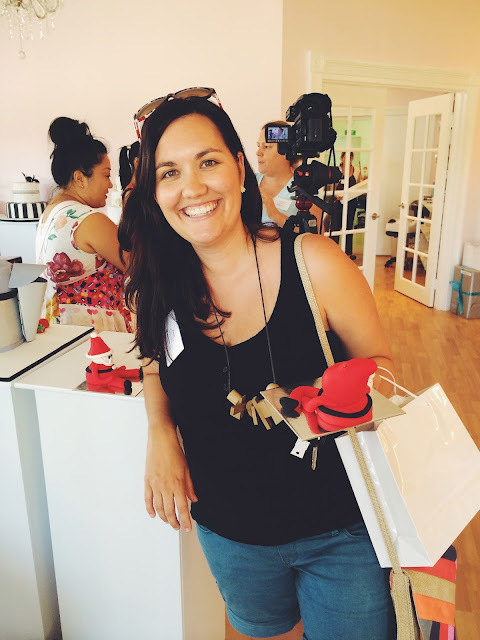 I am in the process of accepting more sponsored content as a way to make a bit of extra cash and avoid going back to 'proper' employment and extend my maternity leave. It's not easy but I enjoy it, and if it keeps me out of the office for a little bit longer then late nights it is. We'll jus pretend my house doesn't look like a bomb hit it though, shall we! As a very busy working mother of two I'm always struggling with finding the time to blog. You do have to prioritise, get organised and decide just how committed you really are. Even harder at this time of year with so much else on, too. I get the kids to bed, cook dinner, eat it with my husband, then instead of sitting on the couch, I get back behind the computer and write, whether it's an article, a blog post, work or even just recording something my kids did that day. Even when it's work, it feels like down time, so it's okay. Except on Monday nights. Homeland then Blue Bloods. Can't ignore it. I could have written this post. I am on the computer in the evenings, not talking to my partner. I never watch TV any more only have time for blogging I am addicted. I am loving the escape. He is getting sick of seeing me on the computer and I feel guilty for it but try to leave weekends blog free. My blog is my me time too. I struggle to find the time to blog with a new baby so I put my laptop on the couch and I multi-task. Usually I am writing with one hand while she naps on me. Then I stay up too late at night working on post ideas.